If you are a new resident who is licensing a vehicle that you have brought from another state, you need the vehicle's title. If the title is being held by the lender, you need to call the Norton County Treasurer's office at (785) 877-5765 for additional information. If you are an established resident who is registering a vehicle that you have just acquired, you need a properly assigned manufacturer's certificate of origin if it is a new vehicle or a properly assigned title from the previous owner if it is a used vehicle. Kansas law requires that you carry no-fault liability insurance on any vehicle except a motorized bicycle so that, in case of an accident, the other vehicle and its passengers are protected. The insurance company must be a Kansas approved insurance company. Vehicles less than 10 years old require the Odometer Disclosure Statement completed by the seller and buyer. On most titles, the odometer statement is incorporated on the reassignment section. See the Kansas Revenue Department website. A Kansas Highway Patrol or Norton County Sheriff ID Verification (MVE-1) is required of vehicles with out-of-state titles. The inspection shows that the identification number on your vehicle matches the one on its title. This procedure is done to make sure the vehicle is not stolen. This state-required inspection is available for $20. A sales tax receipt is required if you have purchased the vehicle from a Kansas motor vehicle dealer. Effective July 1, 2002, if the vehicle is purchased in a taxing jurisdiction that has a lower sales tax rate than the jurisdiction where the person lives, the additional sales tax will be collected at the Trego County Treasurer's office. (Usually this will be 1% or 2%). If you purchased the vehicle from an individual or out-of-state dealer and the purchase price isn't listed on the title, you will need to bring a bill of sale or your invoice. 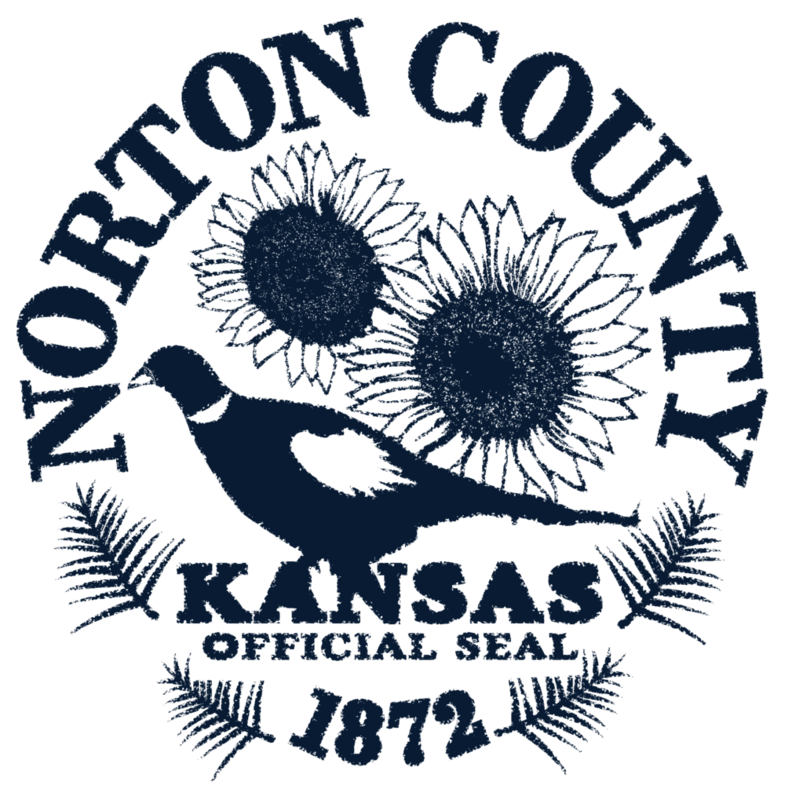 Sales Tax will be collected at the Norton County Treasurer's Office. Payment may be by cash, check, or credit/debit card for the state registration fee and your property taxes. If you are licensing more than one vehicle, you can combine the registration fees and the property taxes on one check for all vehicles. The title fee is $10 per vehicle, while the registration fee usually depends on the weight of the vehicle. Car tags cost $42.25 or $52.25, while trucks weighing less than 12,000 pounds cost $52.25 to register. Moped tags cost $20 and motorcycle tags cost $28.25. The property tax can run from a minimum of $24 for a full year to several hundred dollars for a new vehicle. For your convenience we have a Property Tax Estimator you may use to calculate the property taxes. You will need to have the year, make, ID number, and date of sale for the most accurate estimate.